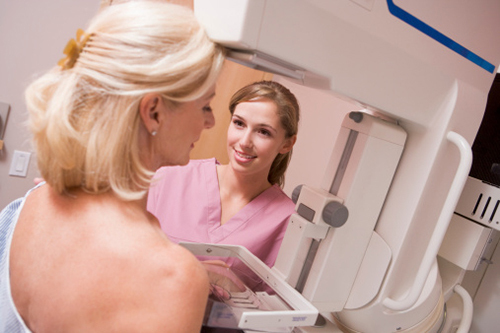 In the U.S., more than 40,000 women are expected to die from breast cancer in 2015. In fact, there are over 100 breast cancer-related deaths every day. The breast cancer death rate increases in postmenopausal women who have taken a hormone replacement therapy combination of progestin and estrogen. In a new study published in the journal Springer Plus, University of Missouri researchers found that luteolin can decrease breast cancer risk in women taking hormone replacement therapy. Luteolin is a bioflavonoid found in herbs such as parsley, thyme, rosemary, peppermint, sage, and artichoke leaves. It is also found in foods like broccoli, celery, lemons, and peppers. “Most older women normally have benign lesions in breast tissue. These lesions typically don’t form tumors until they receive the trigger—in this case, progestin—that attracts blood vessels to cells essentially feeding the lesions causing them to expand,” explained study author Salman Hyder. For the study, Hyder’s team discovered that during their development, human breast cancer cells tend to adopt properties similar to stem cells. As a result, breast cancer cells become harder to kill. In the lab, luteolin was administered to human breast cancer cells and researchers used luteolin to observe the stem cell-like characteristics in the cancer cells. The luteolin displayed its anti-tumor effects by shrinking the breast cancer cells. Researchers found that luteolin also reduced stem cell-like characteristics and blood vessel formation when tested in mice with breast cancer. The study shows promise for a future breast cancer drug in women taking the hormone replacement therapies of progestin and estrogen; however, human clinical trials are still needed. Cook, M.T., et al., “Luteolin inhibits progestin-dependent angiogenesis, stem cell-like characteristics, and growth or human breast cancer xenografts,” Springer Plus 2015; 4(1), doi: 10.1186/s40064-015-1242-x. “Natural compound could reduce breast cancer risk in some women,” ScienceDaily web site, September 10, 2015; http://www.sciencedaily.com/releases/2015/09/150910111559.htm. “U.S. Breast Cancer Statistics,” BreastCancer.org web site, last modified May 11, 2015; http://www.breastcancer.org/symptoms/understand_bc/statistics.